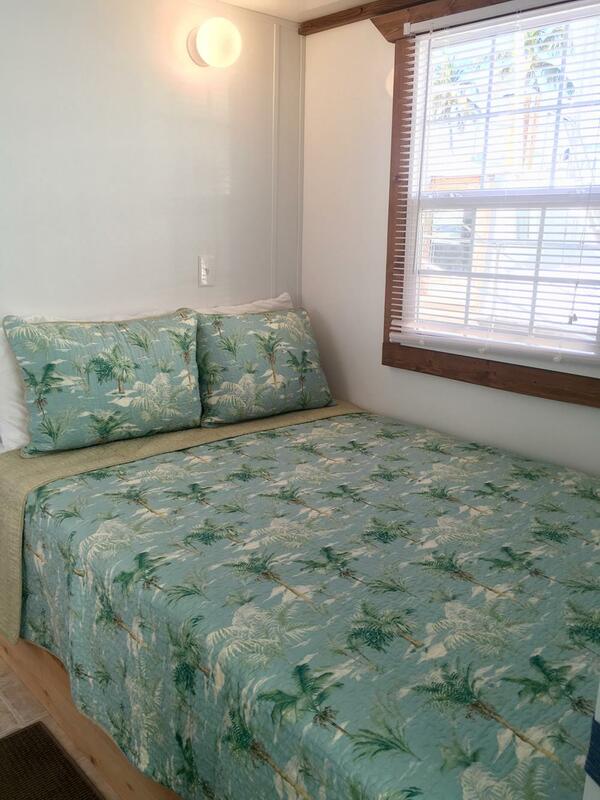 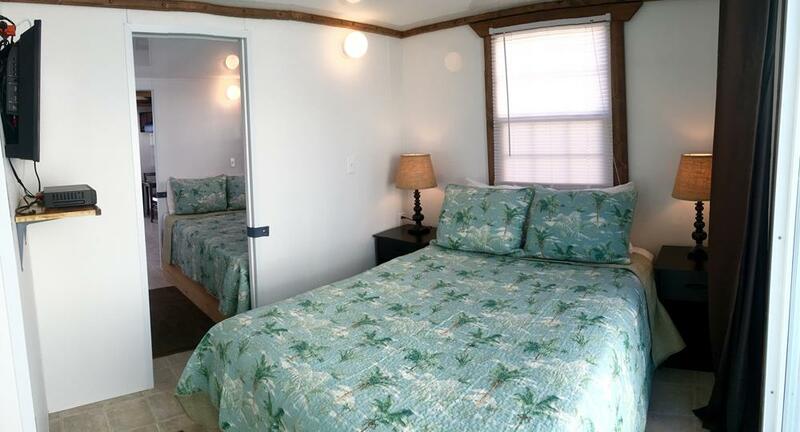 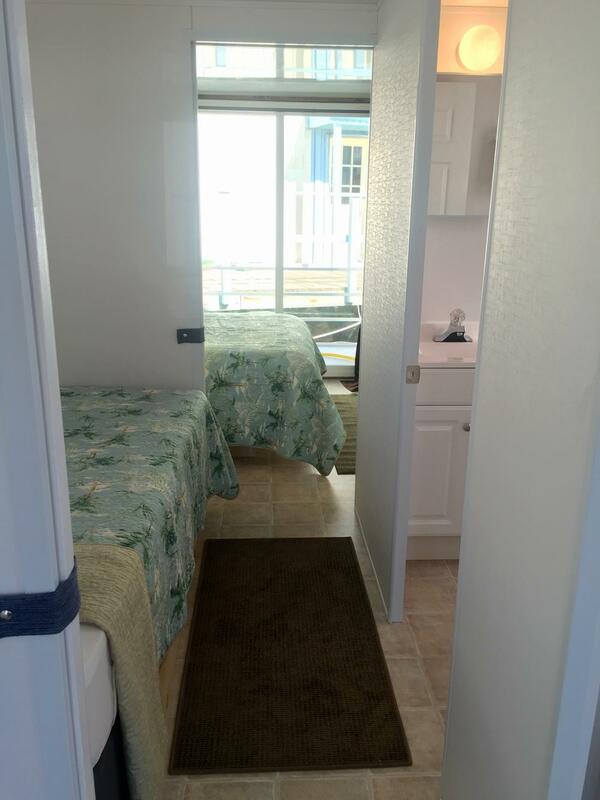 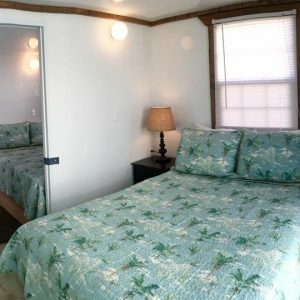 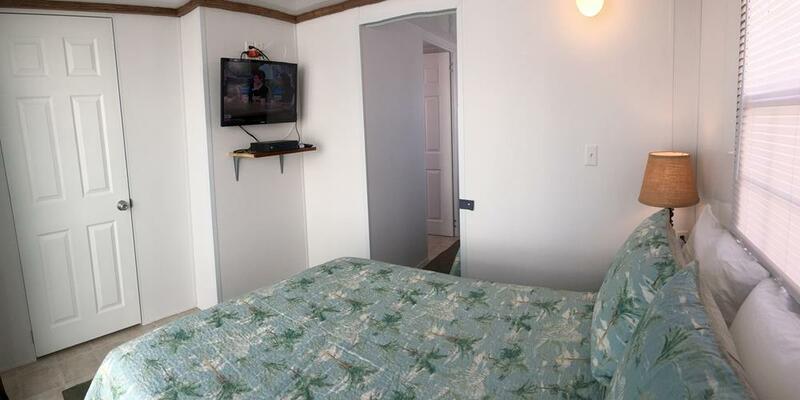 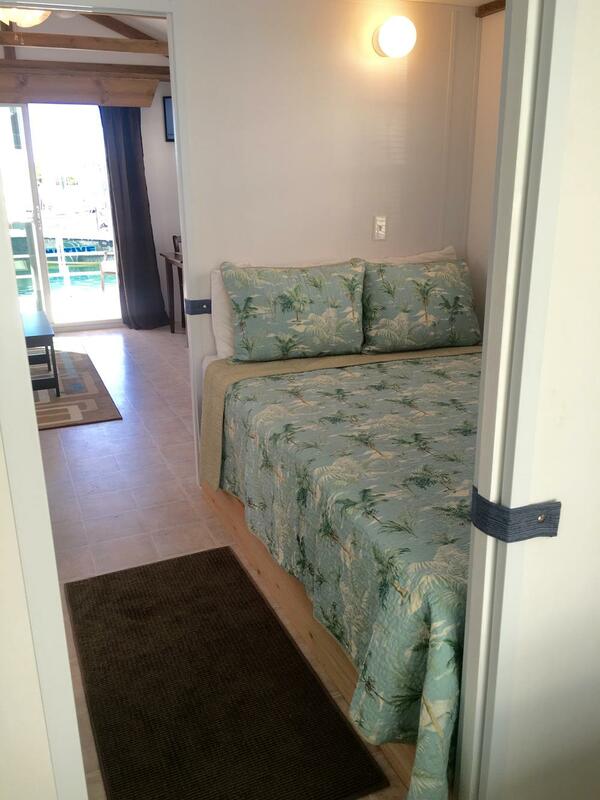 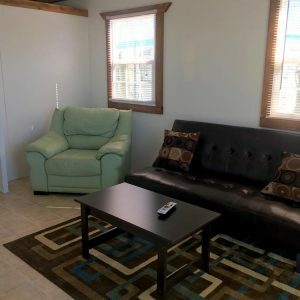 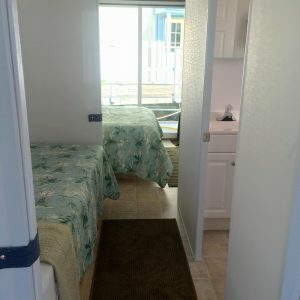 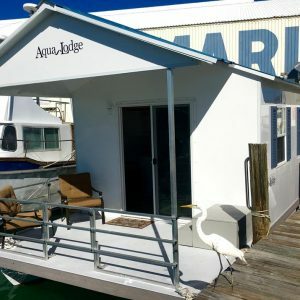 The Aqua Lodge is the newest addition to our houseboat accommodations at Bud n’ Mary’s. 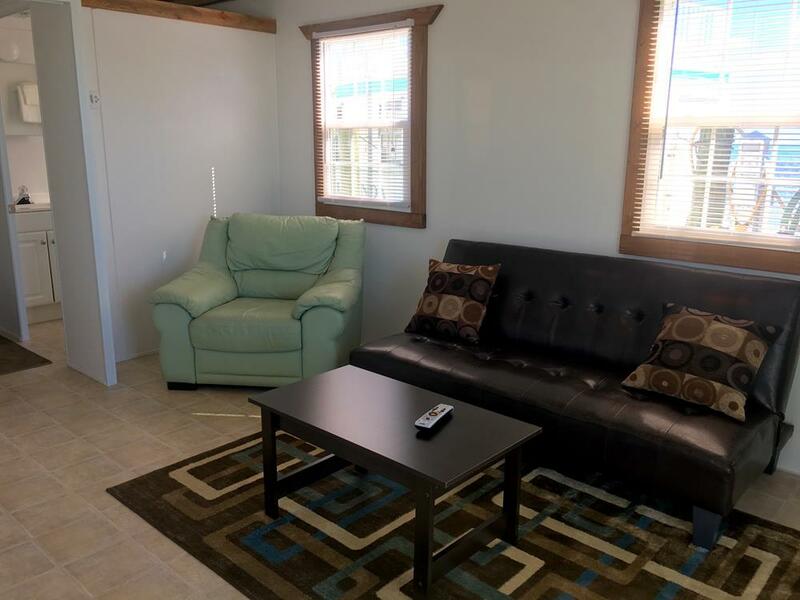 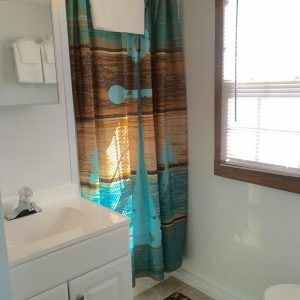 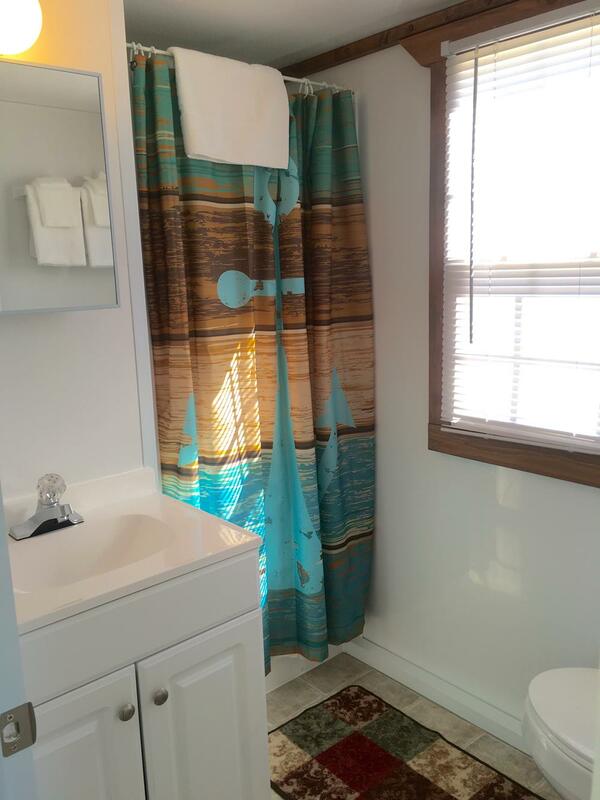 It was outfitted in February 2016 and is ready for rental! 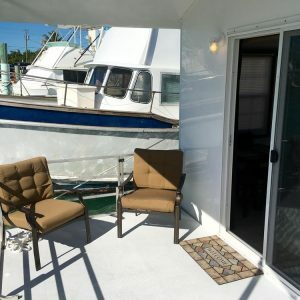 The boat has a master bedroom with a full size bed and TV, another full size bed is mid ship with 3 walls around it (it’s open on the hallway side), there’s a bathroom with a walk in shower, and in the the living room there’s a tv, couch, and a small dinette area with a table for 2. 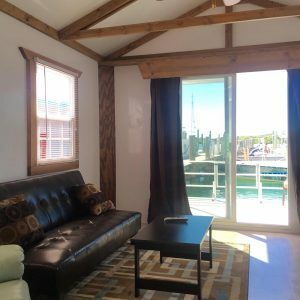 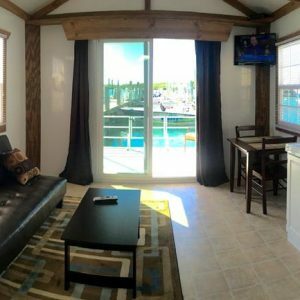 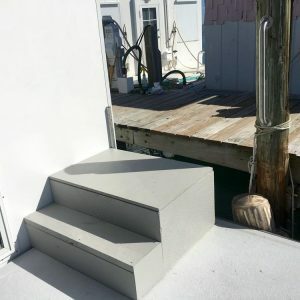 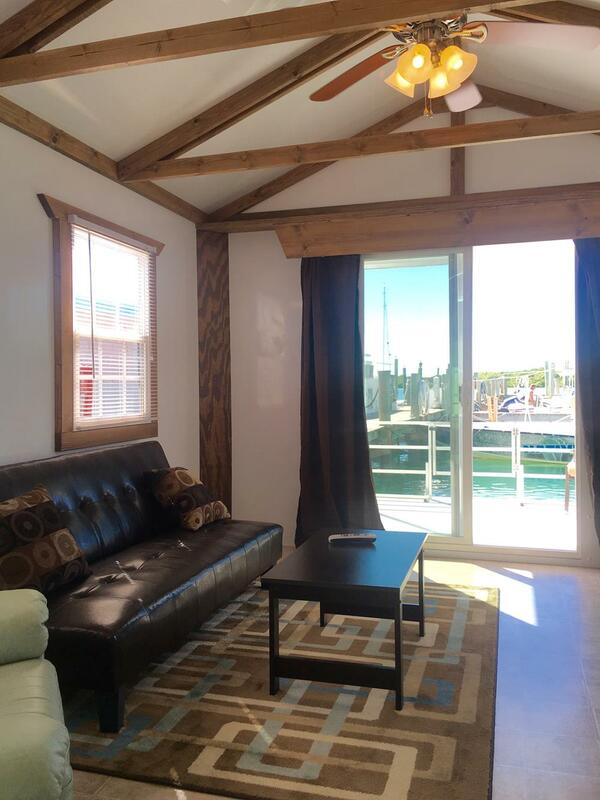 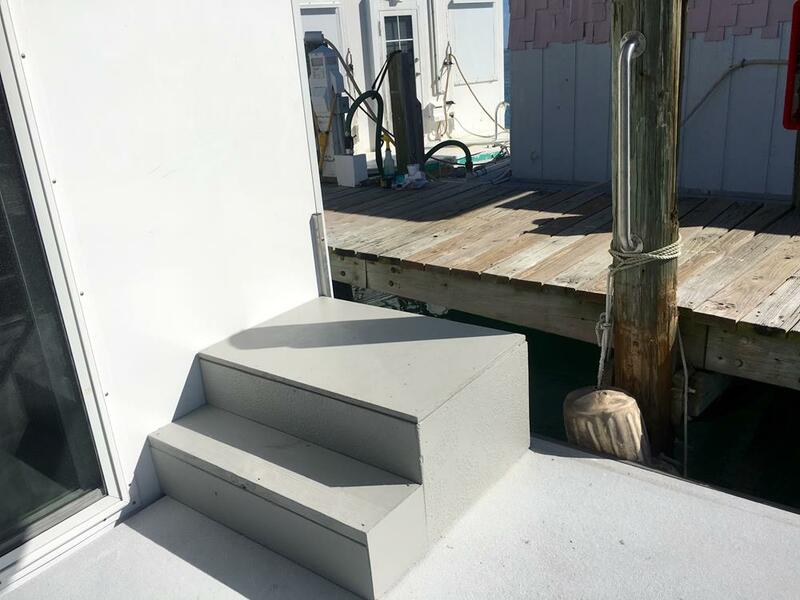 The Aqua Lodge Houseboat is docked on the inside sections of where our other houseboats are and has a patio area overlooking the marina basin. 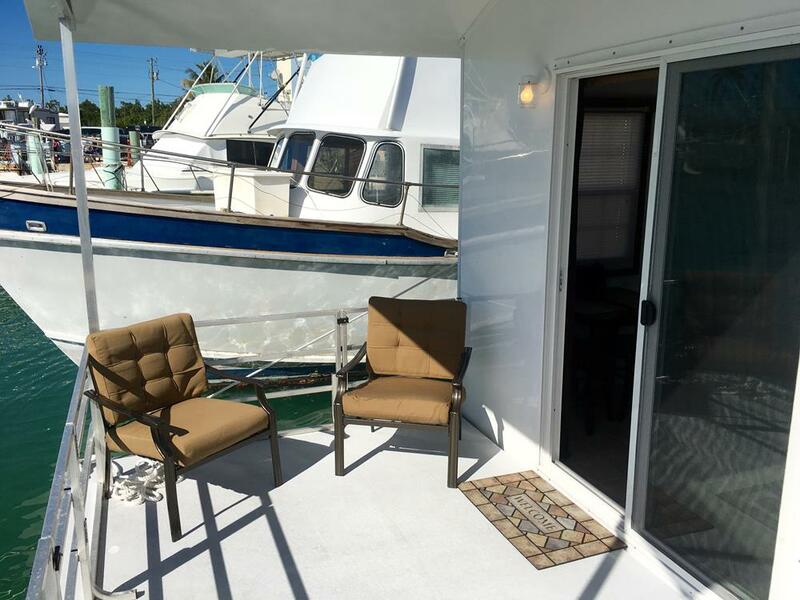 You’ll see our pet tarpon swimming as you relax on your fishing vacation and enjoy the charter boats returning to their slips at the end of the day. 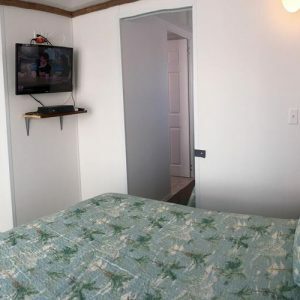 We do not allow cooking on the aqua lodge or any of our other houseboats! 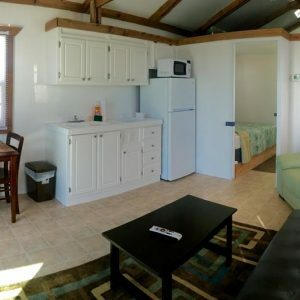 There is a fridge and microwave in the kitchenette area. 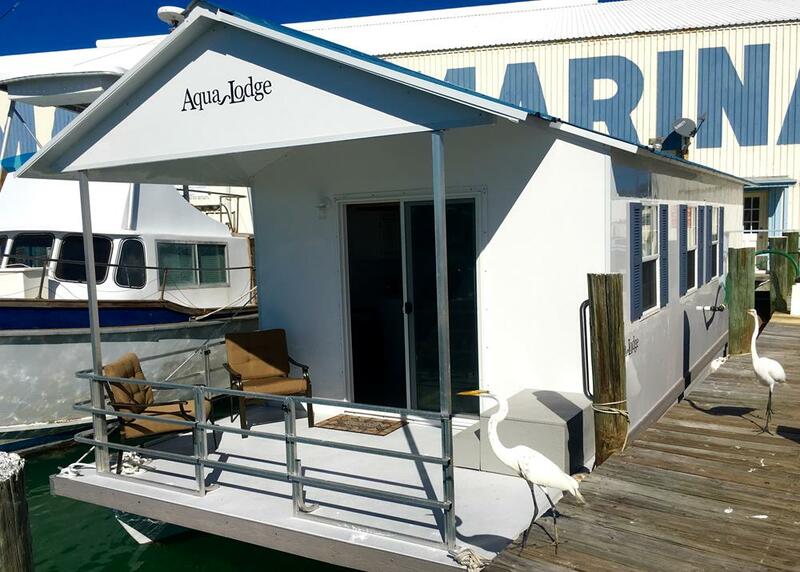 Give the marina office a call at 1 800 742 7945 to book your stay on the Aqua Lodge! 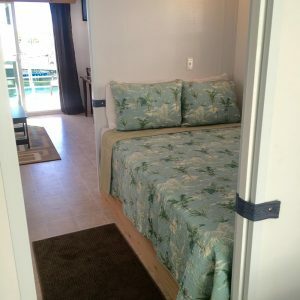 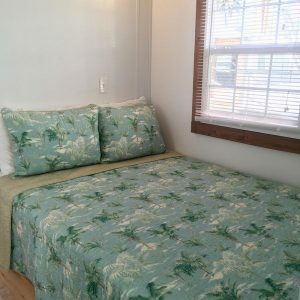 * Prices are $300.00 per night in season from December 1st – August 31st. 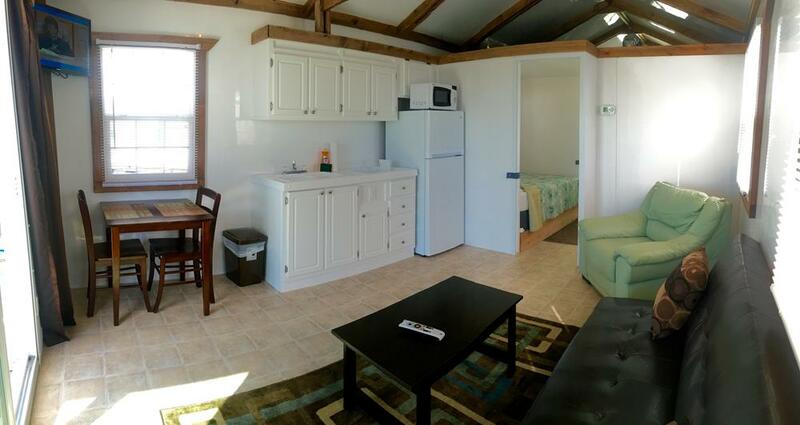 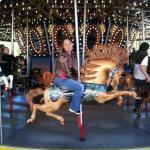 * Off season prices are $250.00 per night from September 1st – November 30th.